If you're starting your second year at Penn, it can sometimes feel like you've been left to drift on your own. Charting your own course as you progress in your academic life, begin to discover new things about yourself, and develop in your relationships with others is an exciting time — but it can also come with a big dose of anxiety and frustration. The College Houses are committed to making your sophomore year all it can be by linking you to the resources you need to keep yourself healthy, happy, and connected. The transition to your second year at Penn begins in your first, with the Thrive At Penn (TAP) module that covers your second year living options in the College Houses. There are room selection events such as the Four-Year Houses Luncheon, the College Houses Living Fair, coffee chats in the upperclass Houses with opportunities to meet the faculty in the Houses and tour rooms, and more. A​​fter room selection you can participate in a House reception in the upperclass House you'll be moving to, with a chance to meet next year's neighbors (students, faculty and staff!) and get House swag for your new digs. Once you start your sophomore year, there are sophomore welcome events in your new House to get your year in your new home started right. 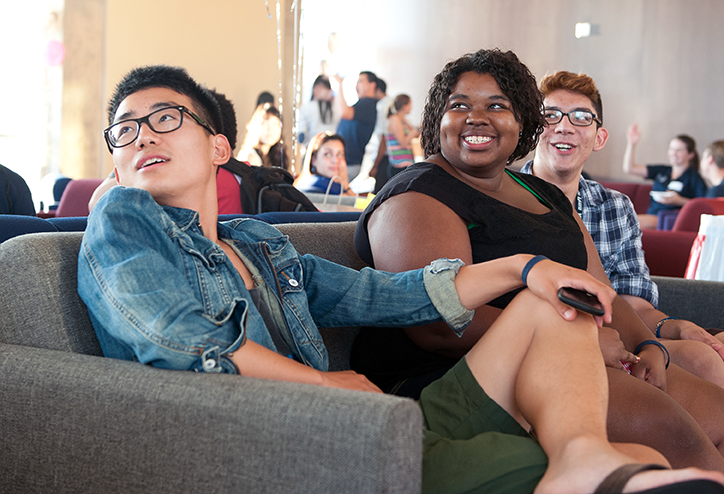 You'll find events tailored to the needs that most sophomores say they struggle with — changing friend groups and relationships, new goals and priorities, upcoming decisions about majors and careers, the challenges of adulting like money management and financial planning, and the other stresses of this time in your life. We'll provide opportunities to get mentoring from juniors, seniors, and grad students, and chances to provide mentoring for new first-year students. You'll find ways to get to know faculty outside the classroom, and take advantage of the wealth of knowledge and experience they bring to your House.